Erittäin viihtyisä ja siisti mökki. Idyllinen paikka erillisine rakennuksineen ja grilleineen. Sisäsauna oli tilava, tunnelmallinen ja lämpeni nopeasti. Ruokapöytä oli suuri ja sohvallekin mahtui useampi. Pihapiiri oli todella kaunis ja rauhallinen. Rakastimme todellakin erinomaista kelohonka mokkiä ja todella erinomaista saunaa. Astioita oli todellakin runsaasti, mutta olutlasit puuttuivat, mikä olennaista saunaoluita ajatellen. Seuraava toivomus tulevalle olis kenkälusikka, sillä emme me kaikki suomalaiset liiku lenkkareissa. Automme hyytyi erittäin kovien pakkasten seurauksena, mutta isännän suosiollisella avustuksella onnistuimme löytämään käynnistysapua ja isäntä totesikin, että seuraavien sähkötöiden yhteydessä tulevat asentamaan lohkolämmittimen. Отличный вариант для зимнего отдыха. Коттедж - бывший охотничий домик привезённый из России. Классный таёжный стиль огромных бревен. Это не для любителей побеленных стен и городского комфорта. Впрочем все необходимое в коттедже присутствует, включая посудомойку и стиралку. Их кстати два. Один основной: с гостиной, кухней, спальней на двоих, туалетом, дровяной баней и двумя спальными лежанками под крышей. И второй маленький с тремя спальными местами и туалетом. Так же у пирса имеется электрическая сауна со стеклянными стенами. Подходит исключительно для релакса и для тех кто не любит высокую температуру. В ней максимум +50. Имеется газовый гриль для мяса - отличная штука, особенно зимой. От близлежащего шоссе доносится слабый шум, но абсолютно не критичный. Ihana tunnelmallinen mökki, jossa kaikki tarvittavat mukavuudet. Palju ja rantasauna kruunasivat lomamme! 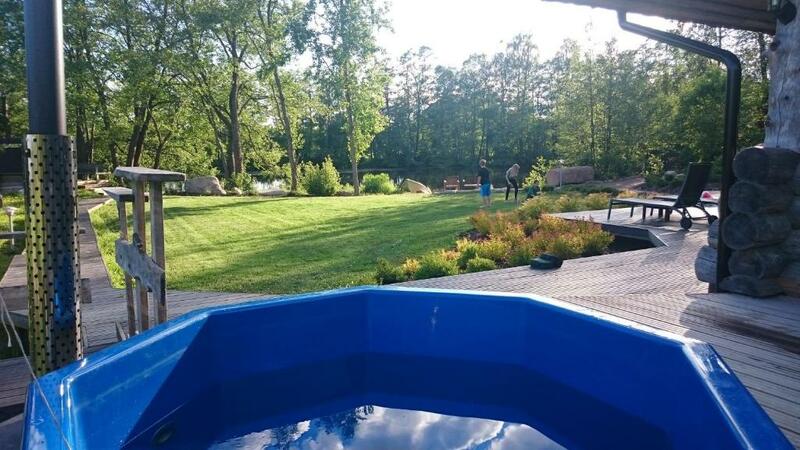 Lock in a great price for Villa Kivikoski – rated 8.9 by recent guests! 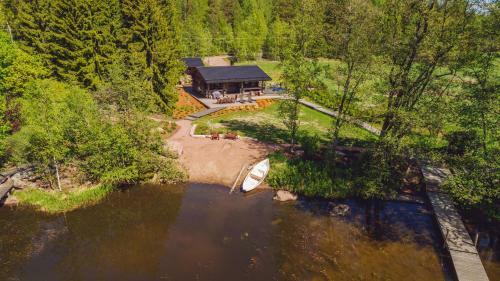 Villa Kivikoski This rating is a reflection of how the property compares to the industry standard when it comes to price, facilities and services available. It's based on a self-evaluation by the property. Use this rating to help choose your stay! Located in Pyhtaa, Villa Kivikoski provides air-conditioned accommodations with a terrace and free WiFi. This self-catered chalet has a garden. The chalet has 2 bedrooms, a fully equipped kitchen with a dishwasher, and 1 bathroom with a shower. A flat-screen TV is provided. 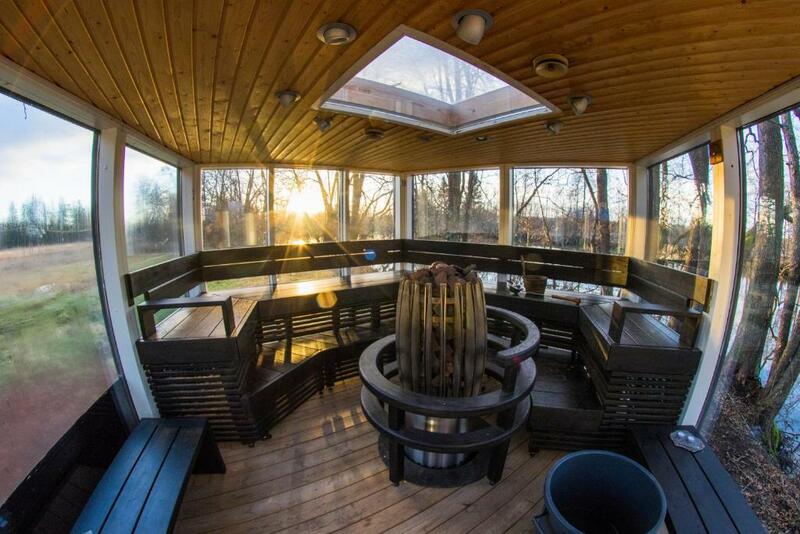 The chalet offers a sauna and a hot tub. A private beach area can be found at the property, along with a barbecue. Porvoo is 31 mi from Villa Kivikoski, while Kouvola is 27 mi away. The nearest airport is Helsinki-Vantaa Airport, 55 mi from the accommodations. When would you like to stay at Villa Kivikoski? 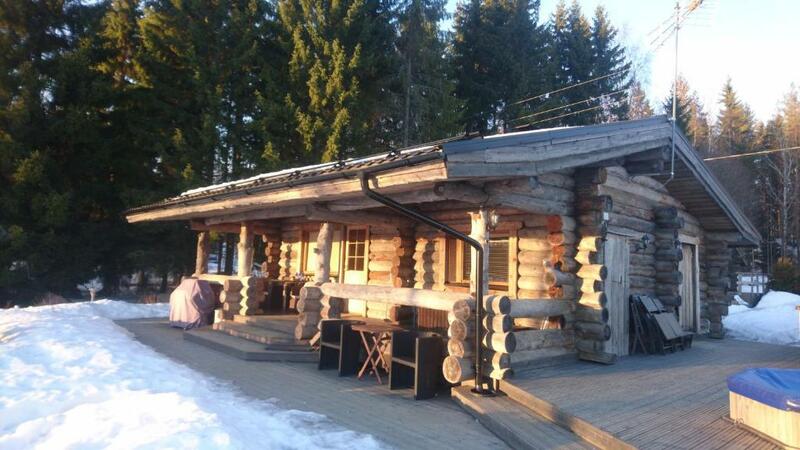 This chalet features a fireplace, air conditioning and barbecue. 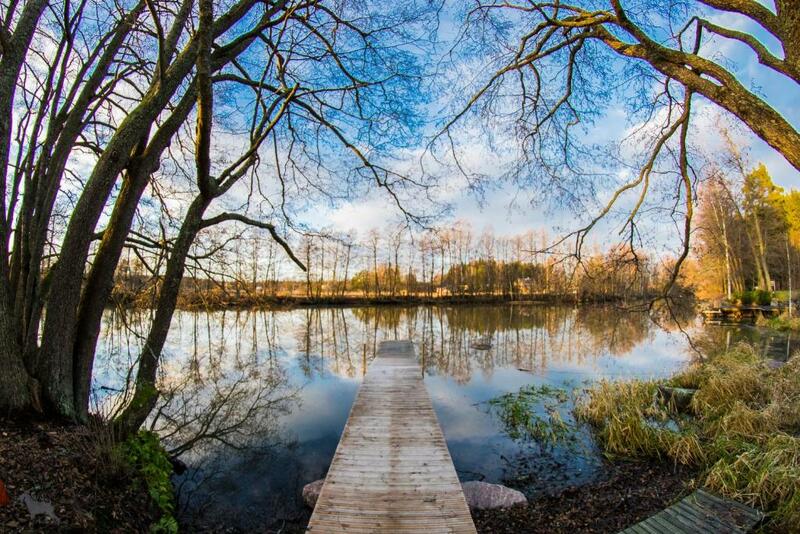 I am an entrepreneur, renting houses in Helsinki area and cottages and villas in Pyhtää. All my properties are cosy and comfortably furnished for holiday purposes. I have a service technician and a cleaning lady visiting the villa after every guest. I hope you enjoy your stay at my villas! Kivikoski cottage is located by the kymijoki river branch in Pyhtää. 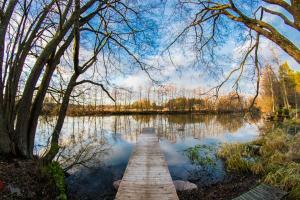 The Baltic sea can be accessed from the cottage on a boat by the river via a lock and a canal. Distance to the sea is about 3km. In Pyhtää there is the Sirius Sport Resort. In addition to flying, Sirius also always has great waves for surfing, whether you are a beginner or an expert. 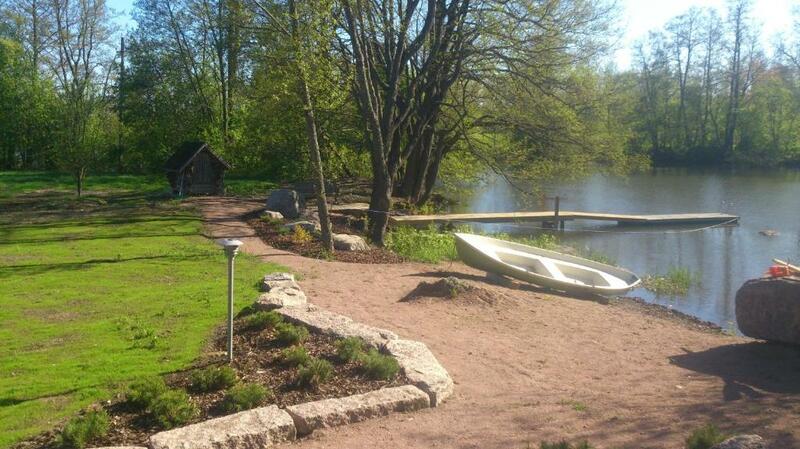 In Kotka (30 km from Pyhtää) there are several restaurants, museums and beautiful parks to visit. And in July there is the traditional Kotka Maritime Festival. Highly recommended museums in Kotka are Maritime center Vellamo, Finnish sea-life center Maretarium and the Langinkoski Imperial Fishing lodge by the Kymijoki river rapids. The peace of wilderness can be experienced at the Valkmusa National Park, which presents a marshland environment exceptionally versatile for southern Finland. Valkmusa is located in Pyhtää, on the north side of the E18 road, along the road number 3562 . The swamp land of the national park is worth a visit any time of the year. Another nature sight for those who are also interested history is the Salpa Line nature trail running from Virolahti through Miehikkälä to the Hostikka cave. House Rules Villa Kivikoski takes special requests – add in the next step! Debit card Villa Kivikoski accepts these cards and reserves the right to temporarily hold an amount prior to arrival. Villa Kivikoski accepts these cards and reserves the right to temporarily hold an amount prior to arrival. Bed linen and towels are not included. You can rent them on site for EUR 15 per person or bring your own. 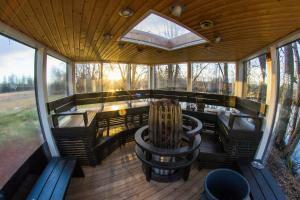 Guests can book the hot tub for an extra fee of EUR 90 per day.